J and R Fine Landscaping has been specializing in design, backyard design, backyard fire pits and brick paver walkways for over 25 years. 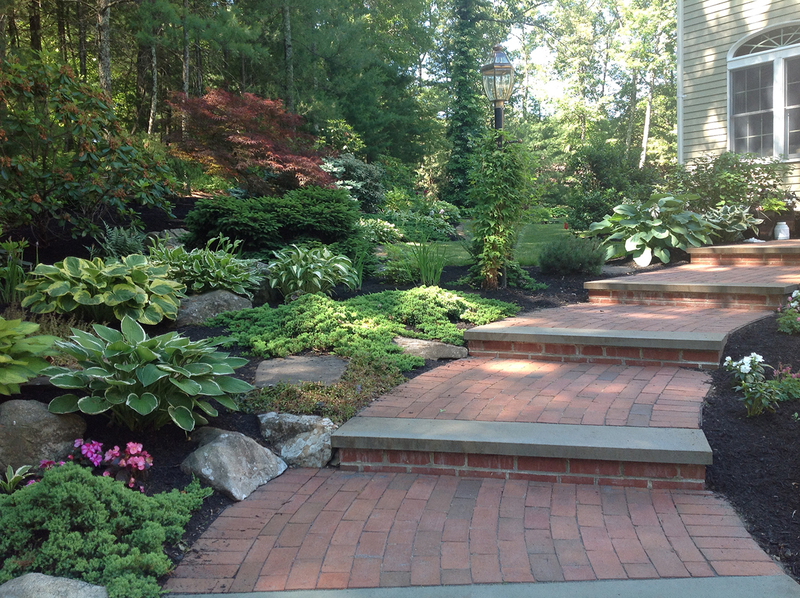 We build gorgeously landscaped yards and incredible hardscapes. 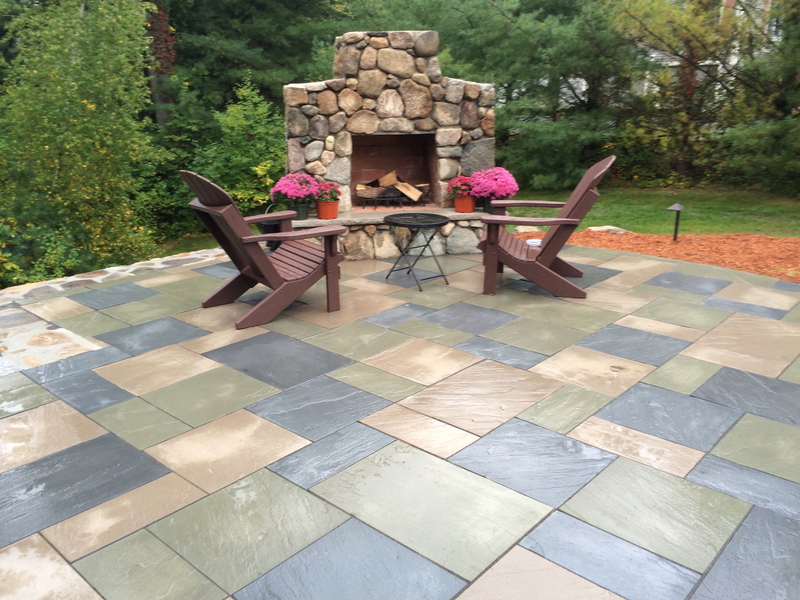 We work with granite and all sorts of beautiful stones for creating your outdoor living area. 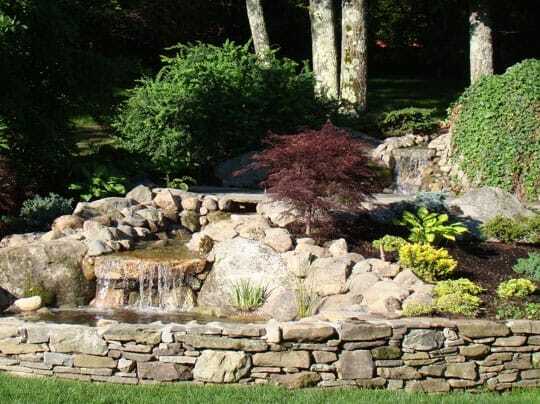 We create water features that reflect you and your garden’s personality. We wanted to express our thanks to you and your team for the beautiful work you did. The walkways and wall you did exceed our expectation and the front of the house looks complete, especially with the plantings. Its now a functional and inviting setting that serves to enhance the visual impact of our home. Please let your crew know how much we appreciate the quality of their work and professionalism. We’ve had a lot of comments since its completion and would refer your company without hesitation. Thanks so much for the transforming my life. You fella’s broke your asses!!! in my backyard. You gave me a dreamy garden filled with magical stones, water magic and my frog, wherever he came from. Walls and paths and crunchy pea stone. Blue stone that I cannot bear to cover, and a babbling waterfall that I love. The stone work is remarkable. It’s beautiful art work by two remarkeable artisans. The tie between the granite and the bluestone is more amazing . I have so many joyful memories. I just want to thank you so much for such a fantastic wall and walkway! Great job! We absolutely love it!! What a bonus to come home today and have the bark mulch put down, mums planted, and a pumpkin on the stairs. © 2019 J and R Fine Landscaping. Built by KiwiMotif.